Our health and success as adults is largely shaped in childhood, in our families and communities. 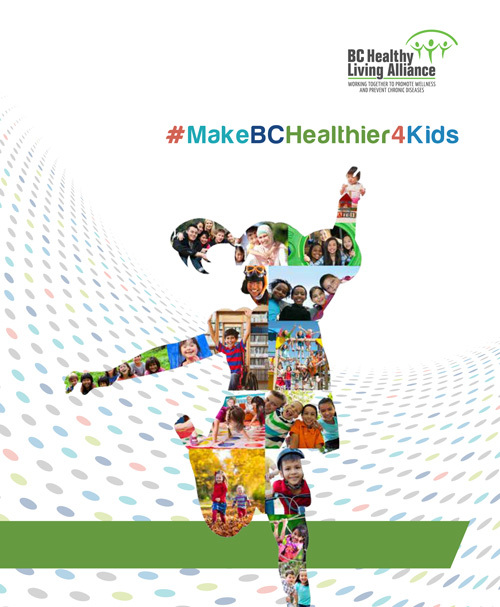 BC Alliance for Healthy Living has developed the #MakeBCHealthier4Kids policy guide to highlight key policies that can give children a solid foundation for a healthy and happy life. Healthier Communities: that are inclusive and socially connected; that are filled with greenspace, parks and recreation opportunities; where it is easy to walk, bike or take transit; and are served by health promoting schools and are smoke-free. Healthier Food Environments: that protect children from marketing of unhealthy foods, discourage sugary drinks and provide healthy food choices. Supportive Families: that have basic resources to support their children’s well-being with affordable housing, quality childcare and income security. BCAHL is committed to working with the BC Government and the many other partners across BC to support healthy policies, programs, environments and services so that we can give BC’s children their best chance to thrive.